A certificate is a formal document that affirms an event or detail of action. 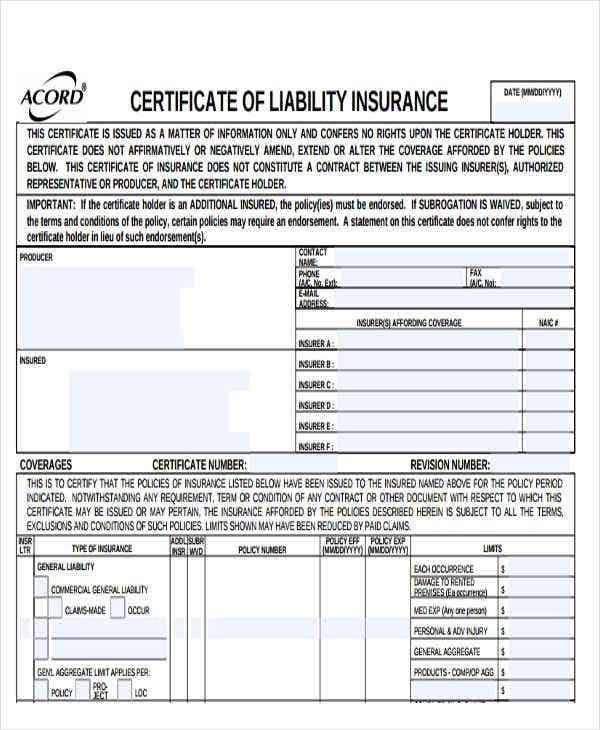 Certificates can sometimes work as an identification document and may be issued by a government agency or a corporate organization. A certificate may sometimes provide access to special offers and perks. A certificate is also sometimes used to substantiate any legal context. 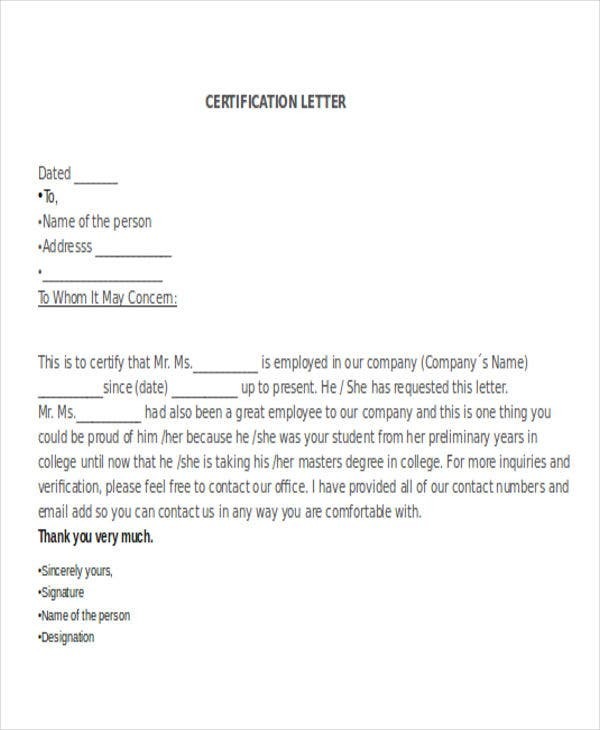 We have scoured the best certificate Letter Templates to suit every type of situation and organization. All the templates we are showing you in this article are standard but customizable to ensure that it fits the specific circumstance that you might have. Take a look at our templates and feel free to use them at any time. A certificate can be utilized to prove an event or activity for so many different reasons. In this article, we show you the many different forms of certificate templates and its proper uses. 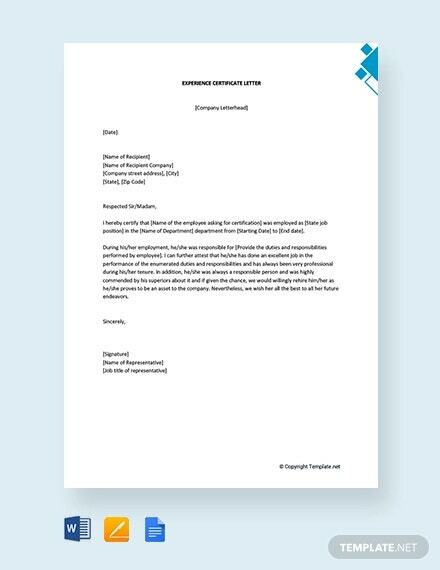 Read on to see certificate letter templates and the specific circumstances wherein its usage is expected. All of these templates are editable, to ensure that they suit the situation at hand. 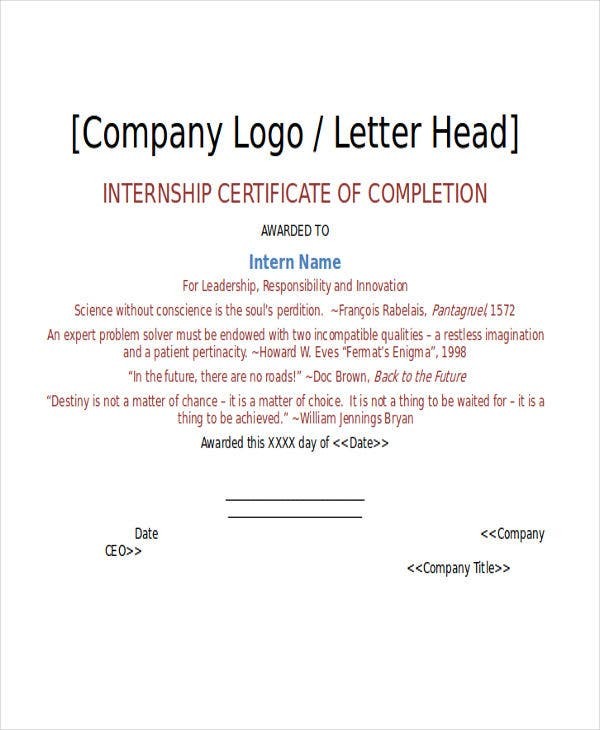 Salary Certificate Letter Template. 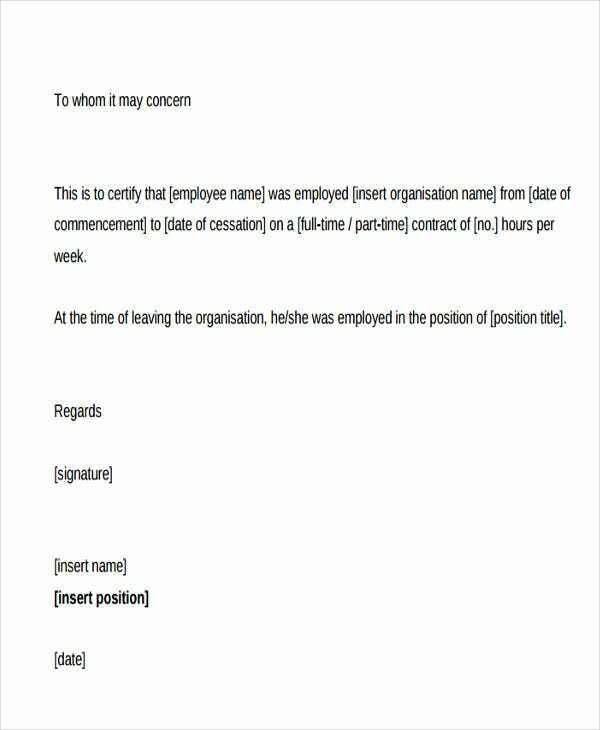 A salary certificate letter proves the amount of money an individual garners from his or her employment. This certificate may display the bi-monthly, monthly, or annual amount that the individual acquires. 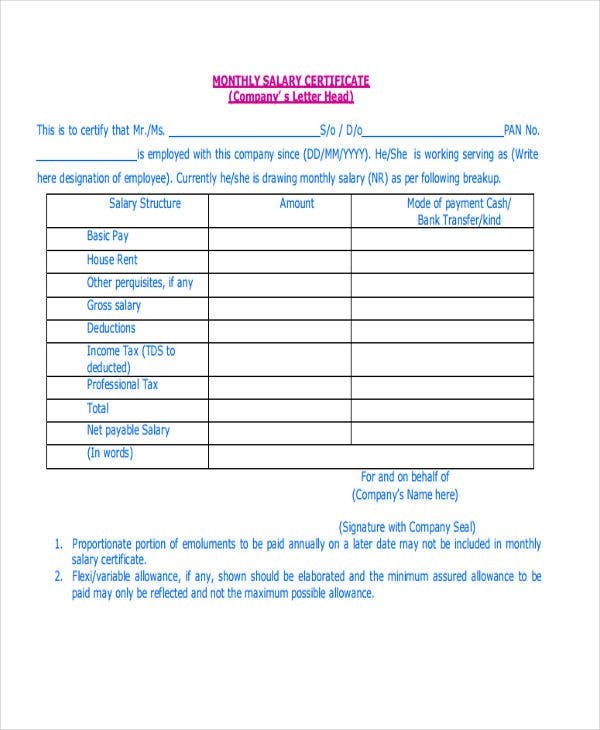 This certificate is important for banks and other similar institutions to decide upon the special perks or privileges that an individual may be eligible for in the present. Check these Salary Certificate Templates for more template options. 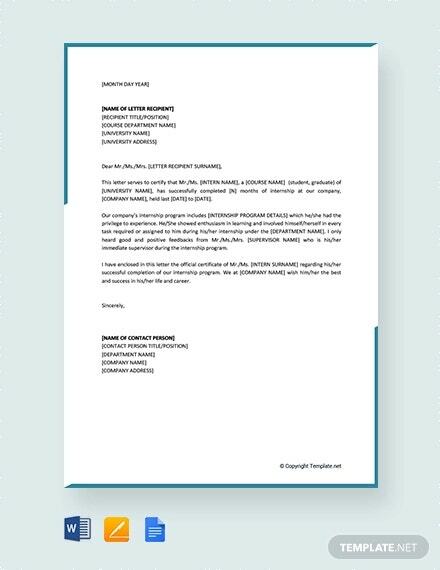 Training Certificate Letter Template. A training certificate letter substantiates the skills that a person may have acquired from a specific training. This certificate divulges the date, length, and name of training. This certificate is especially important as a supporting document for individuals applying for highly skilled jobs, as much as an employee’s eligibility for promotion or transfer to another department. 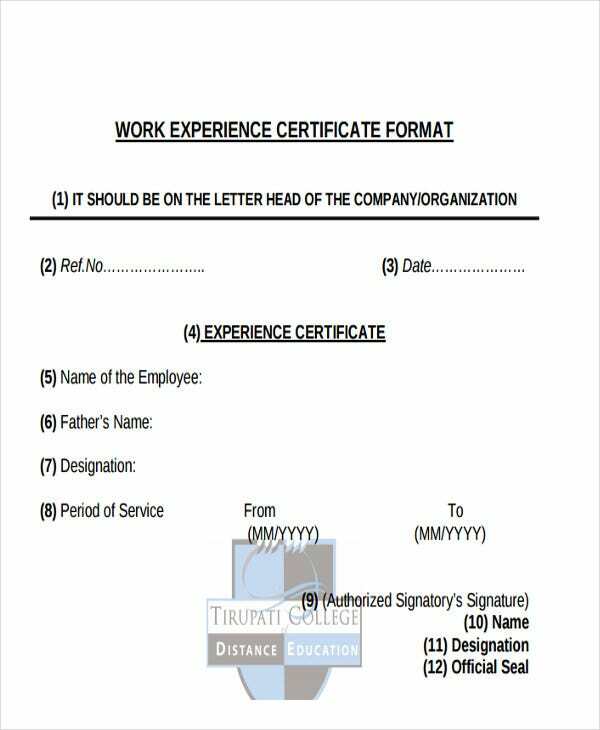 Employment Certificate Letter Template. 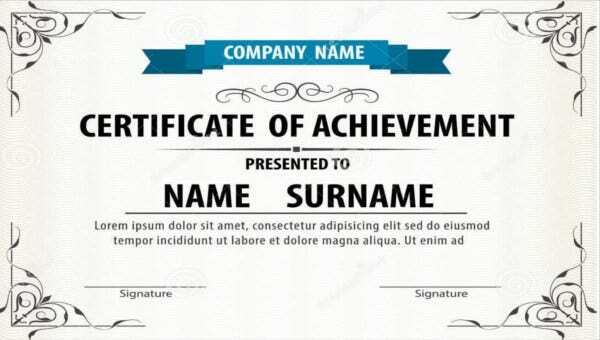 This type of certificate is used to verify a person’s employment in an organization. This certificate is used by organizations to protect themselves from hiring dishonest applicants who have fabricated false experiences to secure a position. This certificate is also used as a basis for determining the level of capability and skills and expertise in the field of an individual to see his or her ability to handle a certain job. 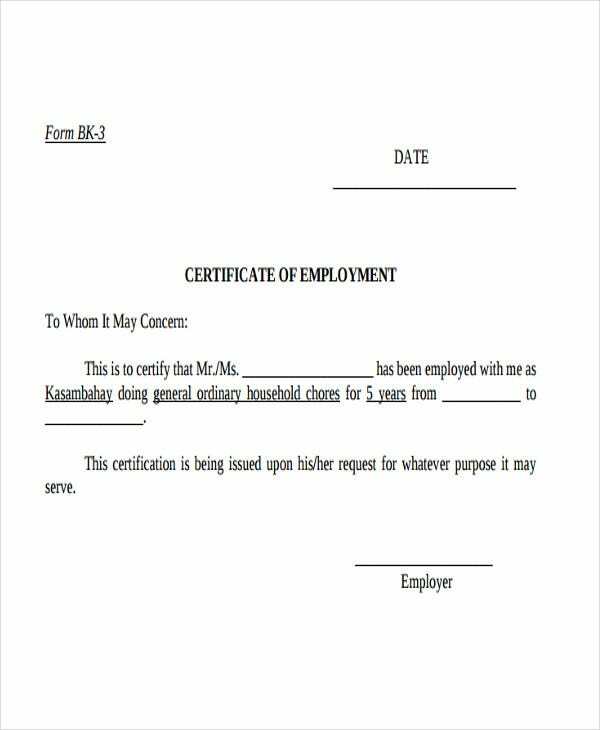 You may also see Work Certificate Templates. 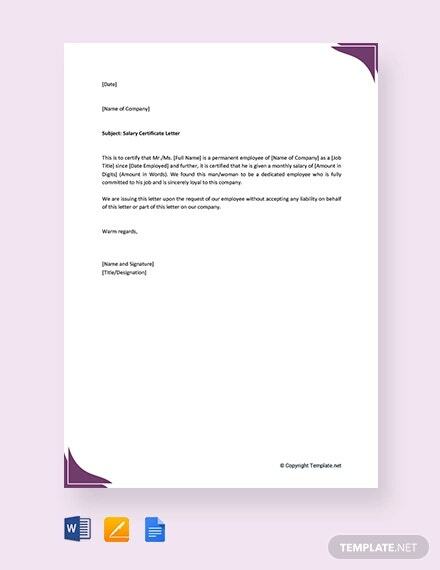 Medical Certificate Letter Template. 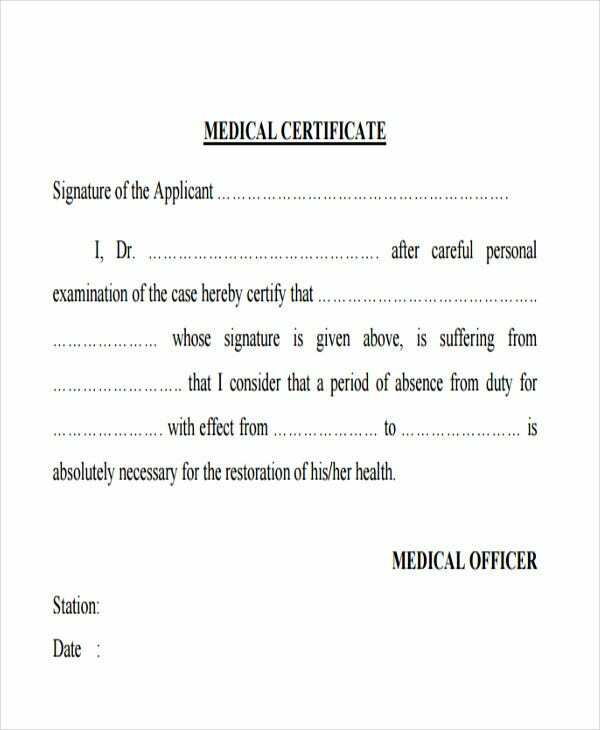 A medical certificate is issued by a physician, disclosing any ailments that an individual might have or might not have at present, the exact date of visit, and sometimes, the implications of the ailment to an individual’s work performance. This certificate is also used to determine a person’s eligibility for international travel. 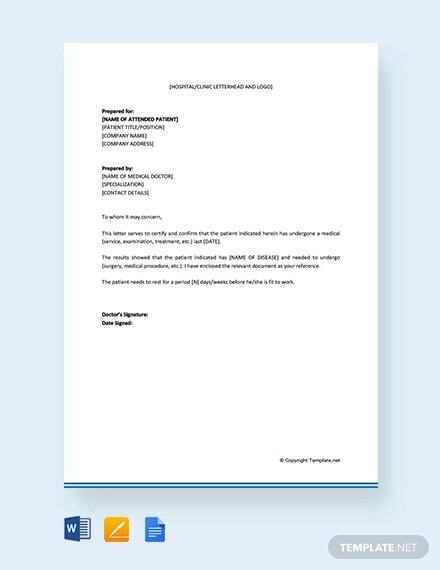 For more letter templates on our site, do check out our No Objection Certificate Templates page to see more options and professionally formatted letters.